Martin Shuster - "New Television"
Martin Shuster discusses New Television: The Aesthetics and Politics of a Genre. A Q&A and book signing will follow the discussion. About the book: Even though it’s frequently asserted that we are living in a golden age of scripted television, television as a medium is still not taken seriously as an artistic art form, nor has the stigma of television as “chewing gum for the mind” really disappeared. 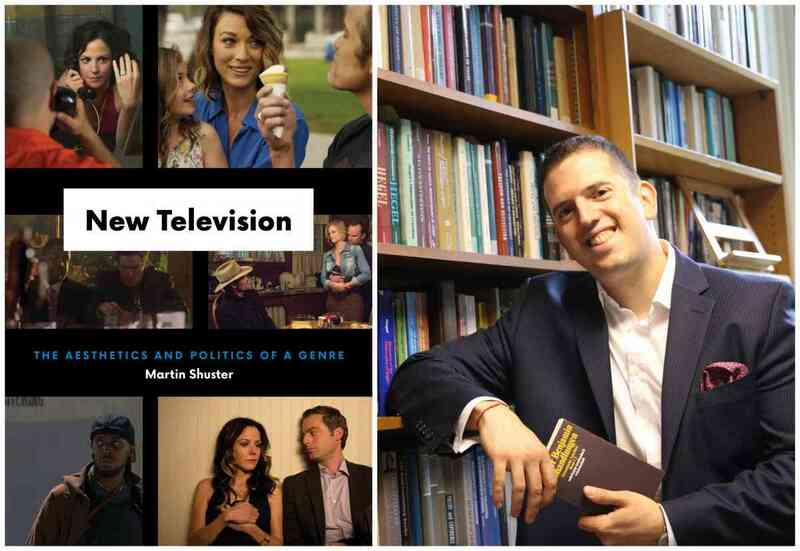 Philosopher Martin Shuster argues that television is the modern art form, full of promise and urgency, and in New Television, he offers a strong philosophical justification for its importance. Through careful analysis of shows including The Wire, Justified, and Weeds, among others; and European and Anglophone philosophers, such as Stanley Cavell, Hannah Arendt, Martin Heidegger, and John Rawls; Shuster reveals how various contemporary television series engage deeply with aesthetic and philosophical issues in modernism and modernity. What unifies the aesthetic and philosophical ambitions of new television is a commitment to portraying and exploring the family as the last site of political possibility in a world otherwise bereft of any other sources of traditional authority; consequently, at the heart of new television are profound political stakes. About the author: Martin Shuster teaches in the Center for Geographies of Justice at Goucher College in Baltimore, MD. In addition to many articles in many areas in philosophy, he is the author of Autonomy after Auschwitz: Adorno, German Idealism, and Modernity, also published by the University of Chicago Press (2014). Even though it's frequently asserted that we are living in a golden age of scripted television, television as a medium is still not taken seriously as an artistic art form, nor has the stigma of television as "chewing gum for the mind" really disappeared.